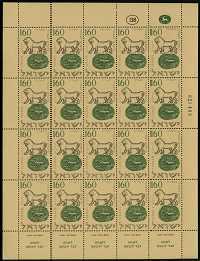 Welcome to the NonLMLK Philately wing! 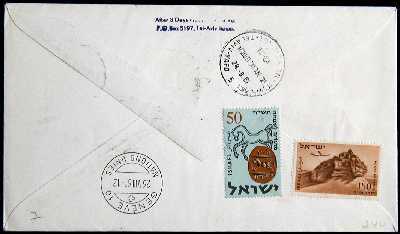 This wing of the LMLK Museum features Non-LMLK Stamps related to ancient seals! 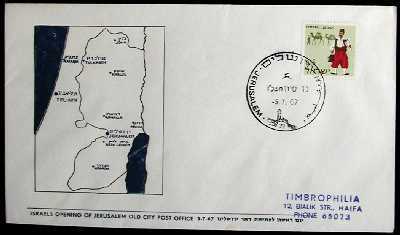 See the Beersheba Pithos page the LMLK Research website for more info on this site! 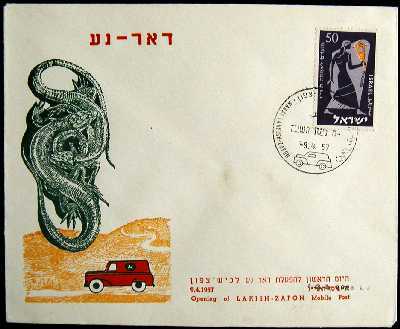 See the Beth Shemesh page of the LMLK Research website for more info on this site! 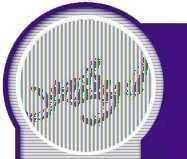 At least 3 LMLK handles were recovered from this site! 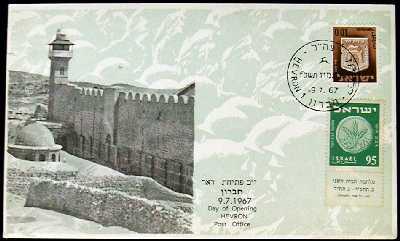 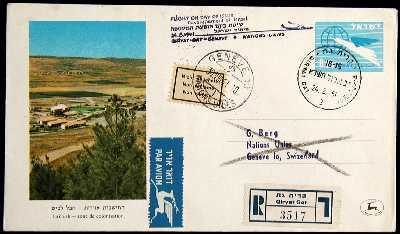 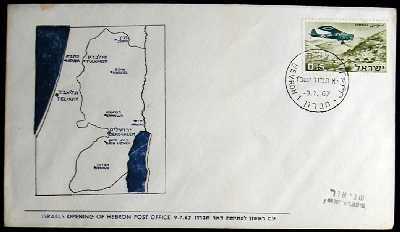 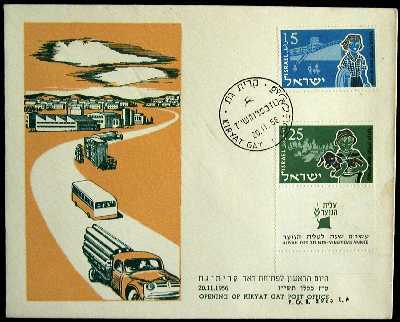 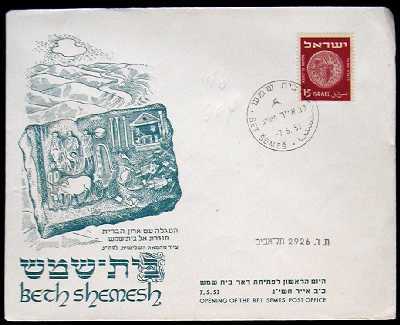 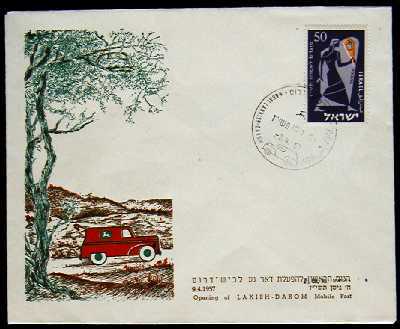 Cachet includes the text of Genesis 23:19, (one of many that mention HBRN): "And after this Abraham buried Sara his wife in the cave of the field of Machpelah before Mamre--The same is Hebron"
Following excavations at Tel Gat from 1956-1961 that revealed no link to the Philistine city of Gath, scholars have preferred the Arabic name, Tel 'Erani (Tell Sheykh 'Ahmed el-Areyny or Esh Sheikh Ahmed el-'Areini); the first excavator speculated it may be MMST, but SUKE & HBRN handles (including restored jar 60-501) found there tend to disprove that identification as well. 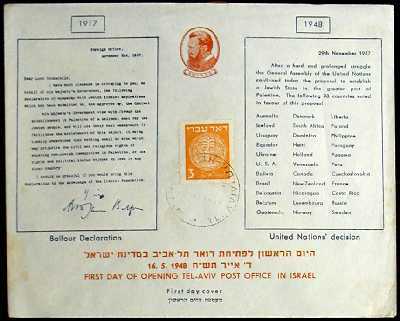 "Flight On Day Of Issue, Developement of Israel ... Nations Unies"
See the Lachish page the LMLK Research website for more info on this site! 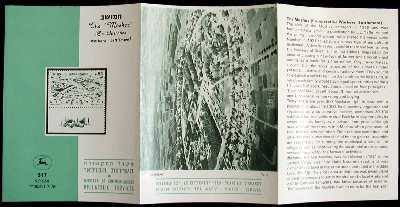 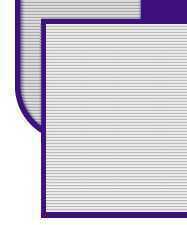 Commemorative booklet (folded page) Hebrew-English essay by renowned scholar, Joseph Naveh! 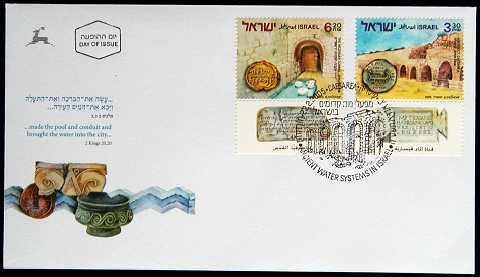 Depicts Byzantine Siloam pool & bulla ("Benayahu, son of Hosha'yahu"; WSS# 459) found nearby at Shiloh's excavation site. 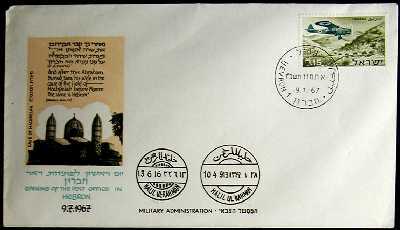 2-22-2005 "Day of Issue" envelopes (7"x4") & FDC photo-postcards (5.5"x4")! 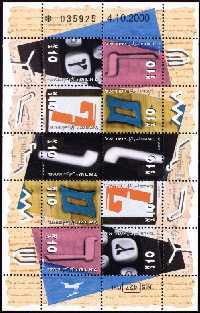 Matched pair in English (top) & Hebrew (bottom)! 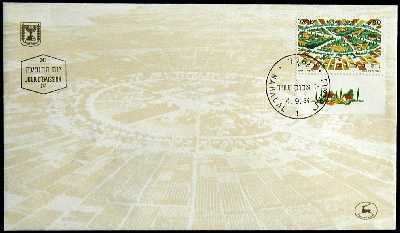 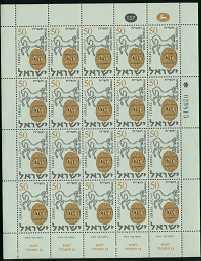 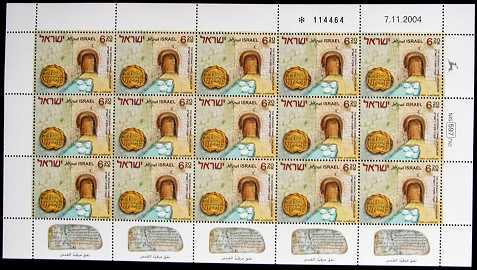 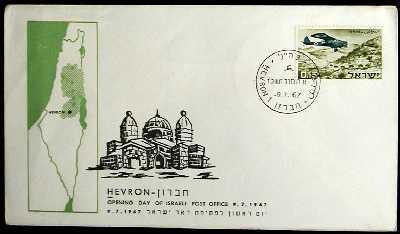 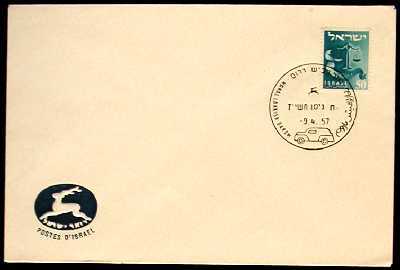 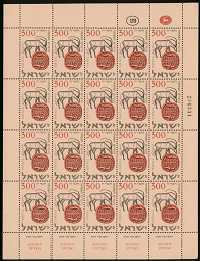 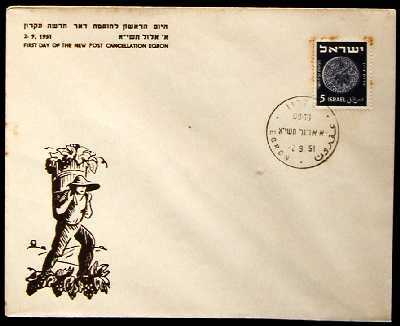 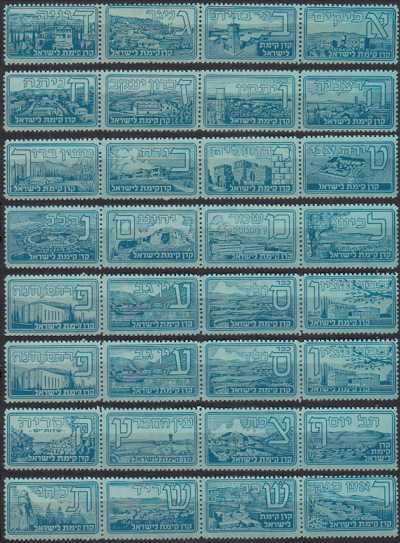 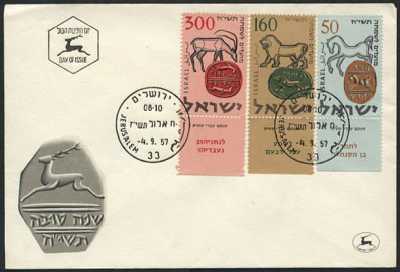 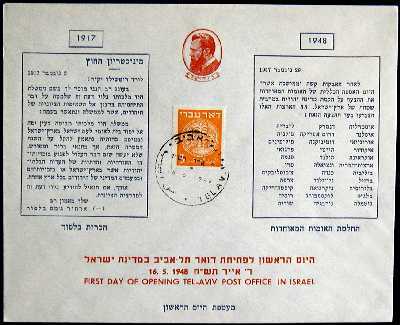 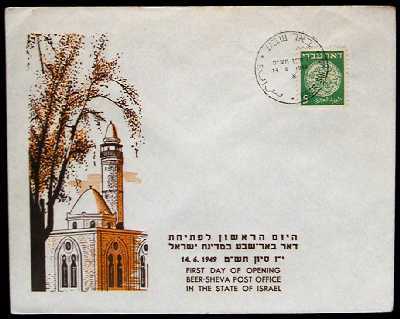 "16.5.1948" = May 16th, 1948, Tel Aviv cancellation covering 3-mil First Coinage stamp (Doar Ivri); first day of issue!